Department of Control and Computer Engineering, North China Electric Power University, Baoding 071003, China. 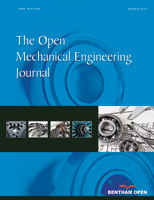 In view of failure characteristics of wind turbine gear box, this paper put forward a method for fault diagnosis based on the ensemble local means decomposition (ELMD) and fuzzy C-means clustering (FCM) method. By resolving the vibration signal of different fault state of high speed gear box by ELMD, the PF component was obtained with its singular value, which was composed of known sample followed by a test sample as the feature vector. The known sample was clustered by using the FCM clustering, and the test sample was recognized and classified . The experimental results show that the method for fault diagnosis based on ELMD and FCM clustering has good diagnosis results.